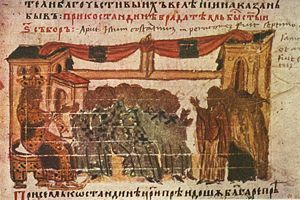 Constantine IV presides at the Second Council of Constantinople, from a fourteenth-century manuscript of the Constantine Manasses Chronicle. The Third Council of Constantinople, also known as the Sixth Ecumenical Council, was a meeting of mostly eastern bishops in the capital of the Byzantine Empire from 680-81, dealing with the Monothelitism controversy over the question of whether Christ had one will or two. It condemned Monothelitism and concluded that Jesus had both a divine and a human will, corresponding to his two natures. The council is also notable in that it condemned a pope, Honorius I, for heresy, as well as posthumously restoring Pope Martin I and Saint Maximus the Confessor, who had been previously condemned as heretics for opposing Monothelitism during the reign of Emperor Constans II. The council convened on November 7, 680, and ended on September 16 of 681. It was presided over directly by Emperor Constantine IV during its first 11 sessions. The total number of bishops present was reported to be slightly less than 300, but the final acts of the council contain only 174 signatures. The council did not put a complete end to the Monothelitism question, as this theology was once again supported under the reign of Emperor Philippicus Bardanes in the early eighth century. The Third Council of Constantinople is recognized as an orthodox ecumenical council by the Eastern Orthodox, the Roman Catholics, the Old Catholics, and a number of other Western Christian groups. 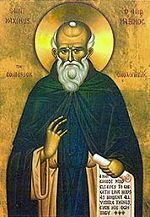 Saint Maximus the Confessor was condemned as a heretic because of his resistance to imperial policy during the Monothelistism controversy. Monothelitism was a later outgrowth of the Monophysite controversy over the question of whether Jesus had one nature (a fusion of divinity and humanity) or two (divine and human). After a long and often violent struggle, that issue had been settled by the Council of Chalcedon in 451, which decided on two natures, but "without division." The issue was revisited in a new form at the Second Council of Constantinople in 553, which condemned certain supposedly Nestorian writings on Christ's "two natures" and emphasized an interpretation of Chaldecon acceptable to some of the moderate Monophysites, also known as Miaphysites. In the eastern and African churches, however, tensions still brewed over the question of Jesus' divinity and humanity. Monothelitism became influential in the seventh century, teaching that while Christ had two natures (both human and divine), his will is not distinguishable from the will of God. This doctrine was supported or perhaps suggested by Emperor Heraclius (610–641) and promulgated by Patriarch Sergius I of Constantinople. It succeeded at least temporarily in reconciling some of the Monophysite/Miaphysite churches with the Chalcedonian or "Catholic" position. The doctrine was also endorsed or at least tolerated by Pope Honorius I (625–638). However, succeeding popes strongly opposed Monothelitism as it gained strength, seeing in it an essentially Monophyiste viewpoint that made Jesus something other than truly human. In the East and Africa, Monophysitism continued to be supported by several emperors and leading bishops, resulting in a new schism between Rome and Constantinople. Under Emperor Constans II, the imperial edict known as the Type (Typus) attempted to end the controversy by banning either extreme. This, however, only exacerbated the schism caused the virtual martyrdom of such anti-Monothelite figures as Pope Martin I and Saint Maximus the Confessor, who refused to be silenced in their criticism of the doctrine and died shortly after being declared heretics. The new emperor, Constantine IV Pogonatus, pursued a policy of reconciliation with Rome. He did not enforce the Type of Constans II and called for a new council in 678 with a view of ending the schism. When the emperor first summoned the council he seemed to have no intention that it would be ecumenical. He had summoned all the bishops of the jurisdiction of Constantinople and also informed the patriarch of Antioch as well as Pope Agatho. All five patriarchs were ultimately represented, Alexandria and Jerusalem having sent deputies although they were at the time in the hands of the Muslims. When the synod assembled, it assumed at its first session the title "ecumenical." The Third Council of Constantinople was finally opened on November 7, 680, in a domed hall of the imperial palace. The emperor presided in person during the first 11 sessions, although this does not necessarily mean that he directly governed the proceedings. On his right sat Patriarch George I of Constantinople and the staunch Monothelite theologian Patriarch Macarius of Antioch, and next to them the representative of the patriarch of Alexandria. On the emperor's left were seated three representatives of the Pope Agatho. After the eleventh session the emperor was no longer able to be present, but returned and presided at the closing meeting. The papal legates brought to the council a long dogmatic letter of Pope Agatho and another from a Roman synod held in the spring of 680. They were read in the second session. Both letters insisted on the Roman faith as the living and stainless tradition of the apostles of Christ and therefore finally authoritative for the Universal (Catholic) Church. This view was not necessarily that of the council, which followed the precedent of earlier synods in giving the patriarch of Constantinople virtually equal dignity and authority with the Roman pontiff. Its minutes refer to the pope as "The Most holy and Blessed Archbishop of Old Rome and Ecumenical Pope," while his eastern counterpart is called "The Most holy and Blessed Archbishop of Constantinople and Ecumenical Patriarch." Most of the 18 sessions were devoted to an examination of the scriptural and patristic passages bearing on the question of "one" or "two wills," and one or two "operations," (of the will) in Christ. Patriarch George of Constantinople was willing to agree with the western insistence on both two wills and two operations in Christ. However, Patriarch Macarius of Antioch resisted to the end, and was finally anathematized and deposed. The council adopted the following statement on the question of Christ's "two wills:"
...We proclaim equally two natural volitions or wills in him and two natural principles of action which undergo no division, no change, no partition, no confusion, in accordance with the teaching of the holy fathers. And the two natural wills not in opposition, as the impious heretics said, far from it, but his human will following, and not resisting or struggling, rather in fact subject to his divine and all powerful will... And we hold there to be two natural principles of action in the same Jesus Christ our lord and true God, which undergo no division, no change, no partition, no confusion, that is, a divine principle of action and a human principle of action... Therefore, protecting on all sides the "no confusion" and "no division," we announce the whole in these brief words: Believing our lord Jesus Christ, even after his incarnation, to be one of the holy Trinity and our true God, we say that he has two natures shining forth in his one subsistence... each nature wills and performs the things that are proper to it in a communion with the other; then in accord with this reasoning we hold that two natural wills and principles of action meet in correspondence for the salvation of the human race. 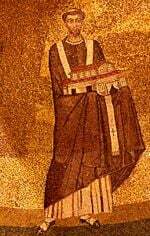 Among those condemned for heresy at III Constantinople was Pope Honorius I. "And in addition to these we decide that Honorius also, who was Pope of Elder Rome, be with them cast out of the Holy Church of God, and be anathematized with them, because we have found by his letter to Sergius that he followed his (Sergius') opinion in all things and confirmed his wicked dogmas." A similar condemnation of Pope Honorius occurs in the dogmatic decree of the final session, which was signed by the legates and the emperor. The council also restored the good names of Maximus the Confessor and Pope Martin I, both of whom had been considered heretics in the East under the reign of Constans II. In Rome, Pope Agatho had died during the council's progress. The council therefore sent its acts to his successor, Pope Leo II, asking for his confirmation. The letter mentioned again the name of Honorius among the Monothelite heretics, but flattered the new pope by stressing the orthodoxy of the teaching of the Roman church. Leo II confirmed the decrees against Monothelitism in 683, and expressed himself even more harshly than the council did concerning the error of Honorius, stressing the failure of that pope to set forth the orthodox teaching of the Apostolic See. Although the Sixth Ecumenical Council succeeded in healing the schism between Constantinople and Rome, Monothelitism still refused to die. The formula of reunion had been due in large part to the policy of the emperor, reversing the attitude of his predecessors, and Monothelitism continued to be expressed in many quarters, as did Monophyistism itself. In 711, a new emperor, Philippicus Bardanes, came to the throne. He had been the pupil of a Monothelite monk and an associate of Monothelite leader Patriarch Macarius of Antioch. This emperor restored the names of those "heretics" condemned by the Sixth Ecumenical Council, including Pope Honorius I. He also installed a new patriarch at Constantinople and exiled key leaders who refused to subscribe to the emperor's condemnation of III Constantinople. However, in 713 Philippicus was ousted in a coup and replaced by Anastasius II (713-15), who restored the authority of III Constantinople, after which Monothelitism gradually faded as an organized movement. The Monophysite/Myaphiste churches, meanwhile, continued to exist as separated entities, often enduring persecution. The Miaphysite expression of this movement still exists in the form of the Oriental Orthodox Churches. Because of its condemnation of Honorius I, III Constantinople also figures prominently in the debate over the question of papal infallibility. Although the council shows that a reigning pope made a serious theological error, the acts of the council are also cited by Catholic sources as supporting the inerrancy of the See of Peter. It is argued that the council accepted the letter of Pope Agatho as definitive, while deposing those who refused to accept it, as well as asking the pope to confirm its decisions. Regarding Honorius, the position of the Catholic Church is that even though he may have been rightly condemned for his error in expressing a possibly Monothelite view, he did not speak ex cathedra in the letter in question, meaning he was not expressing a formal or official view as the representative of Saint Peter or the See of Rome. All links retrieved November 25, 2015. History of "Third Council of Constantinople"
This page was last modified on 25 November 2015, at 16:27.